living daylights out of one another. The winner eventually decided upon through a ‘last man standing’ scenario. Forgive me if you detect a certain note of sarcasm in my assessment of this seemingly addictive video internet game, but if anyone else out there happens to be the parent of children with similar gaming habits to mine, they too will know all about the potential for verbal abuse that kids can suddenly throw at parents as soon as the domestic wi-fi signal starts to flutter or (God forbid!) that home connectivity, for one reason or another, is lost completely! In fact it appears that no matter what time of day it is, nor where we find ourselves here on planet earth, that same 24/7 level of expectancy and dependency in a strong internet connection has now firmly ingrained itself into the human psyche. 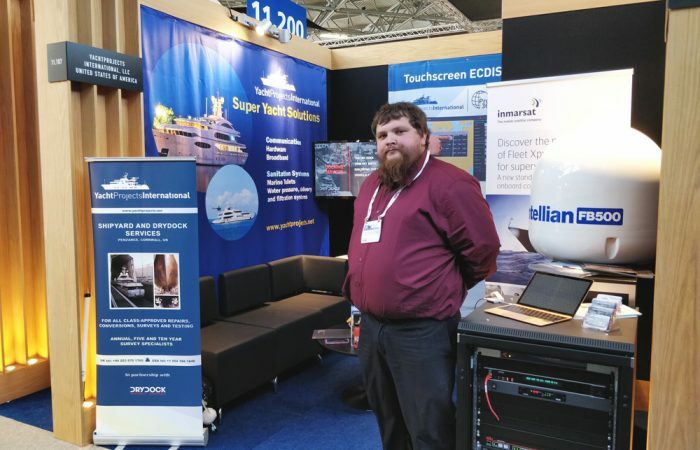 Even within yachting the idea of having a fully connected home-office / home-entertainment environment on board means that many are being equipped with communications technology capable of offering enough transfer speed and bandwidth capacity to satisfy those high-level demands. It’s not just owners and their guests requiring VOIP conferencing and media streaming capability either. Typically, the captain and crew will now receive not just chart corrections and their real-time weather and routing information online, but most of today’s shore-based management companies will require a strong and reliable gateway for the safe and secure transfer of data for all kinds of operational, analytical and forecasting functions, such as logging, maintenance scheduling and reporting, accounting, crew management, hours of work and rest, spares and inventory management, work lists and so on. Many large yachts with a Safety Management System need good internet for drawings & document management and ISM/ISPS reporting is now handled through a reliable internet connection. 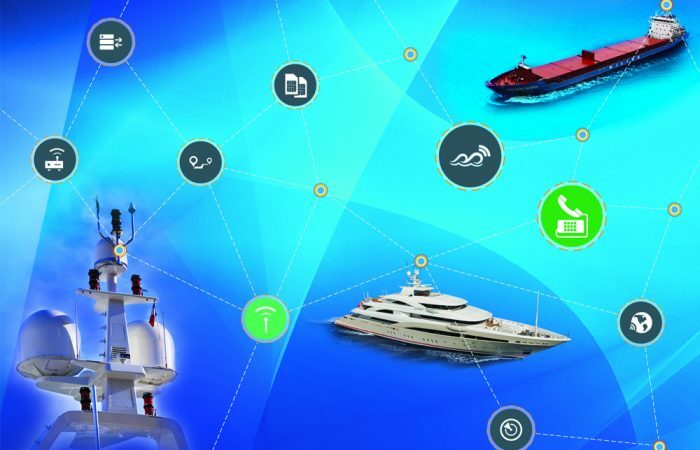 Partly through its long association with military and commercial shipping, SatComms technology has traditionally enjoyed the lion’s share of the remote communications market, but with even higher speeds and higher data carrying capacity coming in the form of 5G networks, we can expect to see more cellular technology extending the communications reach for yachts quite a lot further in the future. 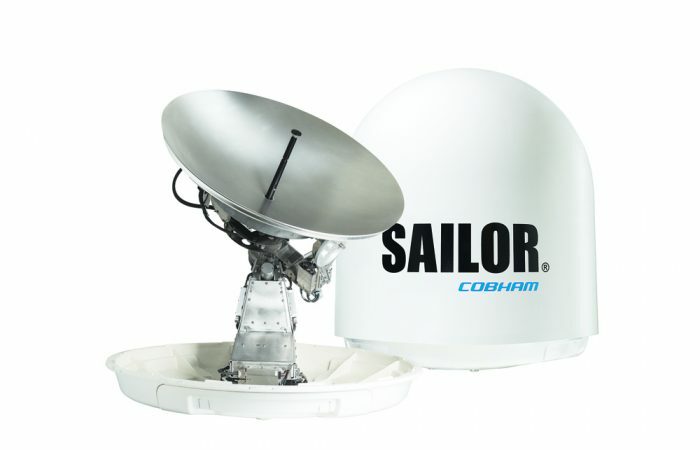 Suffice to say that with an increased demand for high-speed bandwidth and competitive pricing, the yacht market now has a very good choice of both VSAT (very small aperture terminals) and land based communication providers. To maintain a good and reliable broadband connection, many companies now offering a ‘hybrid’ solution that switches seamlessly between the two different systems. Some reports suggest that even the strongest VSAT signals can be affected by extreme heavy weather, so a system that uses a cellular network most of the time, then reverts back to VSAT when a 3 or 4G signal is lost, is worthy of some serious consideration. e3 have recently been appointed TIER 1 Value Added Reseller (VAR) status by Inmarsat for two of its flagship services, Fleet Xpress and FleetBroadband and are the exclusive superyacht distribution partner for Kymeta flat panel antennas. “We have fitted 13 installations on yachts of varying size over the past year with another 20+ scheduled over the next few months. Based in Poole, Dorset, Buzz Networks specialize in maritime super-routers, with single or dual SIM card slots (dual slots for dual mobile network accessibility) that use an externally-mounted, high-gain antenna that extends the effective range from base stations onshore. 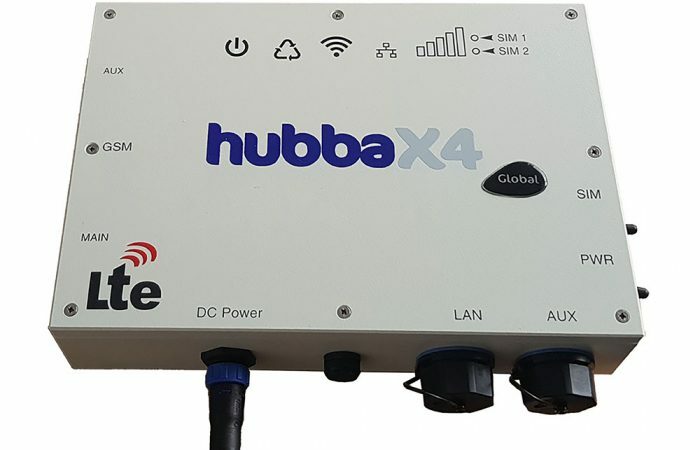 The Hubba X4Go and the Hubba X4Duo use a 4G network when they can, but switch back to VSAT if 4G is not possible. While the working range for either of these two routers is quoted as being no more than 20nm offshore, Buzz have the more advanced Hubba X4 Global, quoted as being the first multi-band, multi-protocol, dual SIM, LTE data router designed for operators regularly crossing borders. Hubba X4 Global is quoted as allowing a maximum downlink speed of 300 Mbps and max uplink speed of 50 Mbps. Recognising that crew are using their mobile phones, tablets and other portable devices for regular access to essential data and email communications, Warrington based GT Maritime have launched SeaMail, a managed email solution for small vessels such as barges, fishing vessels, inland cruisers and leisure craft to communicate using email more reliably and more cost-effectively with shore. SeaMail has been designed and optimised for use over satellites, dealing with high latency circuits and multiple connection management, making communications efficient and more cost-effective. The press release we were sent talks of a simple installation procedure and SeaMail’s efficiencies mean that vessels can reduce satellite bandwidth usage and generate savings of up to 80% on satellite airtime. “Smaller vessels don’t have the capacity or budget to be able to operate larger, managed and comprehensive email solutions”, says Robert Kenworthy, CEO. “We’ve used our experience to develop a product which suits their needs and requirements, ultimately allowing them to manage their costs and save money. With the prospect of 12 fully device-enabled charter guests on board and anywhere between 5 and 20 hard working crew, it’s not difficult to imagine airtime usage costs on board a large yacht can easily and rapidly get way out of control. Yacht Projects International has introduced SeaWall, a customisable Firewall product that manages bandwidth through a series of limits that can be pre-set for each individual device. Or you could choose to set one overall limit for everything on a specified network. Limits can be set on the amount of data available per device or by download speed. You could, for example, choose to give junior crew, or younger age guests a network download speed of, say, 150kbps, but increase this to 512kpbs for the more senior members amongst the crew. Alternatively, you might want to allocate 5gb download capacity for one person and 20gb for another. Going back to my introduction at the beginning of this report, my wife and I would probably decide to set some kind of data usage based upon hours per day, so that Oliver and Louis would soon get the message that enjoying games like Fortnite would be just one (fairly small!) 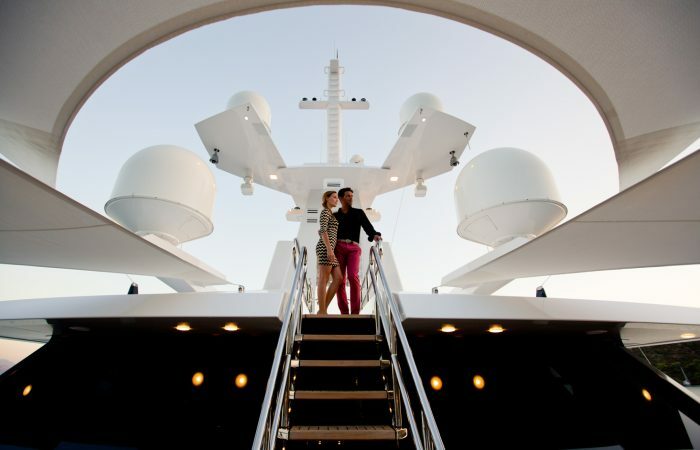 aspect of the total yachting holiday experience.